Center for Unconventional Security Affairs research associate, Josh Gellers, has been meticulously tying the threads that link the realms of human rights and environmental law and policy. 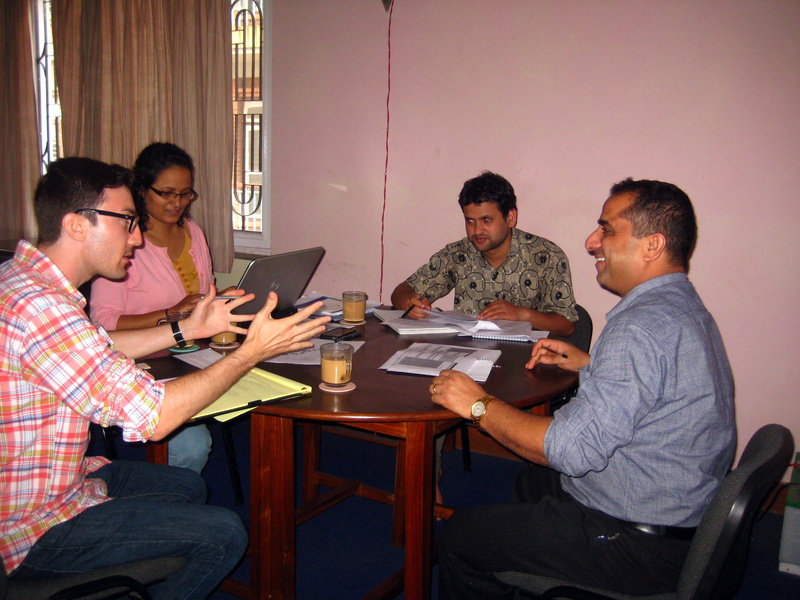 In doing so, he visited Kathmandu, Nepal last year and conducted a series of interviews for his dissertation analyzing the international trend of amending environmental rights into constitutions. While countries such as Nepal have have recently included environmental laws, countries such as Sri Lanka have not included them. And why is that? To complete his answer, Gellers arrived in the city of Columbo on March 25, 2013. Since then he has experienced an exotic tour to Buddhist temples, gem bureaus, various elephant sightings, all the while interviewing head Sri Lankan constitutional officials on current environmental policies. In addition to his travel and myriad of interviews, Gellers is also documenting his overseas experience with a very detailed blog on his personal website, JoshGellers.com. Similar to a prolific novelist, Gellers paints an extremely conscientious image of daily Sri Lankan life for an aspiring political scientist. Interested in the vibrant, day-to-day sights and sounds of the distant world of Sri Lanka? Take a trip in Josh’s shoes through his personal blog below.